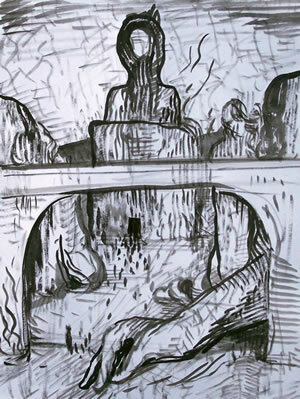 Below: "View of Hell (sketch)", 2007, brush & ink wash on paper, 12" x 9". 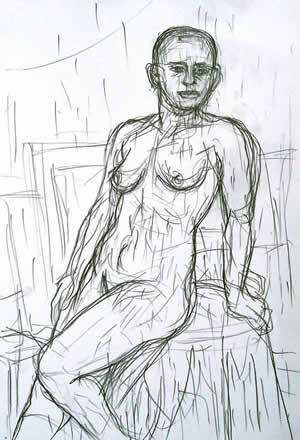 Below: "Life Drawing (sketch)", 2007, graphite on paper, 18" x 12". 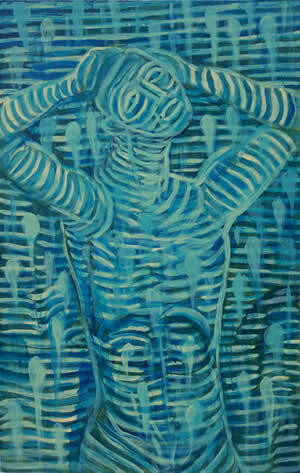 Below: "This Modern World", 2007, acrylic on masonite, 30" x 18". 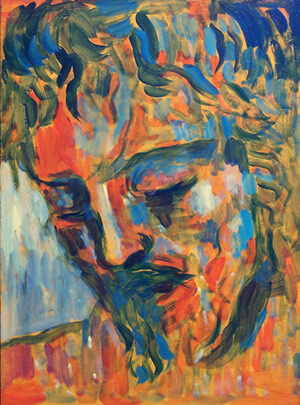 This page contains works done by William T. Ayton in 2007, plus some thematically linked works from late 2006. These images include pieces from a new series, tentatively entitled "Heaven & Hell". 2007, 30" x 18 "
2007, 12" x 9 "
2007, 9" x 6" approx. 2007, 11" x 8" approx.